John Balaiah was born on the 17th November, 1907, in the village of Pannur, 30 miles west of Chennai. After his early schooling in the parish school, he went to St Joseph’s, Trichy, and studied there up to B.A. The French Fathers there had a great influence on him. He wanted to do for his Indian people what the missionaries did for people who were not their own. Coming to know that his people were arranging a marriage for him, he “ran away” to Trichy and begged to be accepted into the Society of Jesus. 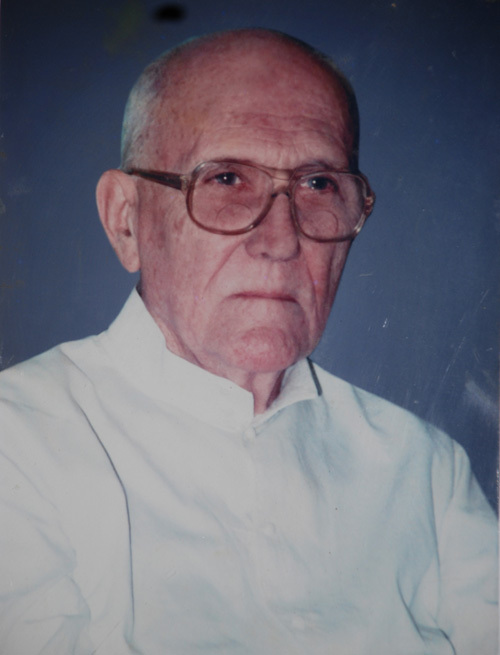 Then from the time he joined the Novitiate in Shembaganur on the 23rd June 1930, till he was ordained priest on the 25th March 1942 in Pune, he followed the regular Jesuit formation programme. It was after Tertianship and as Parish priest, first in Kuthalur and then in Sivakasi, that he proved his real mettle. He, in the face of considerable opposition, did away with caste distinction in the cemetery. 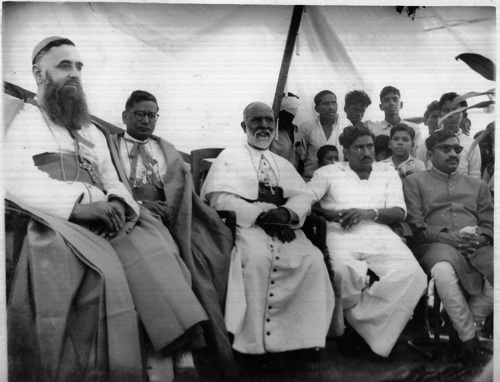 Long before Vatican II he started inter-religious dialogue with the Hindus. Against EVR’s atheistic movement, he held annually “God’s Day” and invited Hindu and Muslim dignitaries to speak. He started the sodality for women and trained them to go from village to village evangelizing non-Christian women. He helped and motivated poor girls to become nuns. Kuthalur yielded a rich harvest of vocations to the priesthood and religious life. Sivakasi witnessed mass baptisms. When obedience demanded that he should go to Vijayawada to help Fr. Devaiah, Founder of Andhra Loyola College, he went. When Fr. Devaiah was called back to Dindigul, Fr. Balaiah took over the reins and as Rector went about collecting funds, putting up buildings, completing the purchase of land and put the institution on firm foundation. He can be called the second Founder of Andhra Loyola College. 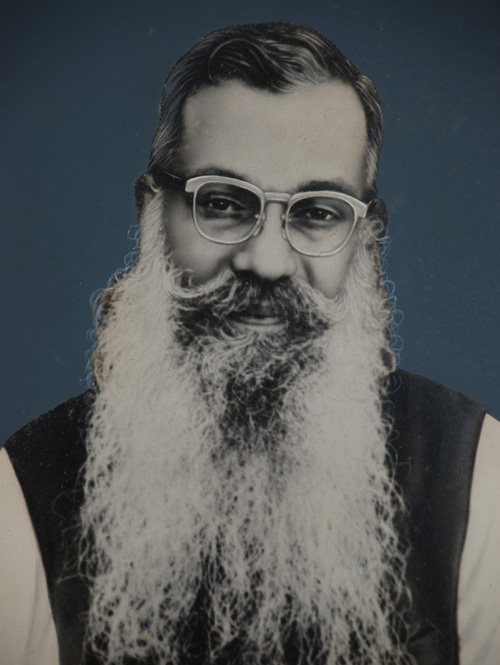 He never lost his people-orientedness: as warden he combined discipline with kindness with boys; as Rector he had won the hearts of influential people; as a priest he went about evangelizing and converting the people of Abhinaguntavari Palam village which has now become a full-fledged parish. Fr. Balaiah wanted to convert a desert into an oasis for God. He gave up a well-established parish of Mutlur and moved to Vinukonda, ‘a God-forsaken place”. Staying in low-roofed house, buying drinking water, he acquired land, invited Nirmala Sisters to start a convent, a girls’ school and a hospital. He then opened a residence for Jesuits and a boys’ school; built a multi-purpose hall and tried his hand at various social works to help the poor to earn their livelihood. Within eight years, Vinukonda-became a flourishing mission with a dozen sub-stations, each with its own chapel. When the Region came into existence on the 5th November, 1972, he was appointed Superior. He was a shrewd businessman in conducting God’s business. He recruited priests and scholastics from Madurai province firing them with his zeal. To foster Telugu vocations, he started a school in Suryapet. Then he moved into Hyderabad where the Jesuits had no foothold. He accepted to run St. Patrick’s, the old diocesan school. 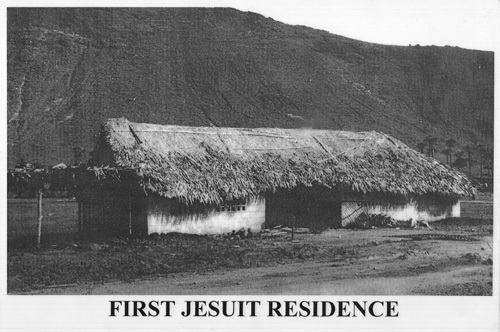 He set up the Jesuit Province headquarters and a Retreat House in Secunderabad. At the invitation of the Bishop of Warangal, he started a new parish at Shantinagar, 30 km from Karimriagar. Now comes the final phase of his life. At the age of seventy he began to pursue an idea that had been hatching in his mind: a job-oriented university college which would combine general education with professional training, and so Loyola Academy was born. Acquiring 140 acres of land from the government, missing lunch and visiting the government Secretariat, meeting various officials, relating to the Chief Minister and the Vice-Chancellor on the first name basis – doing things only Fr. Balaiah can do and achieving what only he can achieve! All these took a heavy toll on his life. Having suffered from advanced cancer for nine months, on 11th November,1985, at the age of 78, “the architect of Andhra Region” surrendered his life into the hands of his “Lord and Master” (as he used to fondly and reverently call God). Fr. Balaiah was direct and sincere; brusque at times and short-tempered. But if he hurt someone, he would ask pardon and make amends. He had the inner freedom, initiative and creativity. His loyalty to the Church and the Society was unquestionable. His spirituality was simple and childlike without reservations. He approached God as his loving Father and Mary as his tender mother in all his needs. Fr. U.S. Paul’s death was as enviable as his life was. On 29th June , the feast day of Sts. Peter and Paul, Fr Paul celebrated Mass in the chapel of the JMJ Provincialate, Bangalore, together with the community members. Soon after Mass, they gathered in the dining room and the sisters began singing “Happy Feast Day to you’, Paul slowly slumped into his chair. There was a Doctor Sister close by, medical aid was given immediately, but in no time, with effortless ease Paul entered into eternity like a candle that is burnt out. Paul was born in ‘an Orthodox Brahmin Family of Vedic scholars near Rajamundry, Andhra Pradesh in 1939. In some inexplicable way, Paul landed in Loyola College, Chennai at very young age. The Jesuit Fathers,finding him very smart and intelligent, sent him to Phirangipuram near Guntur to a boarding house to finish his schooling and later to Loyola College, Vijayawada to do his intermediate course. 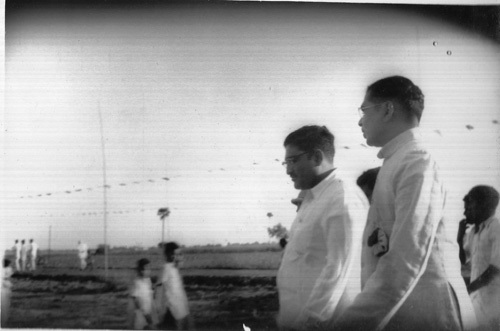 There he embraced the Catholic faith and soon joined the Jesuit novitiate at Dindigul 1958. He was ordained a priest in 1972.Paul was a scholar and administrator. He travelled widely and read widely. He was a harmonious blend of the ancient and the modem, profane and divine, classical and ordinary.He was at home with the literatures of the East and the West. He had a prodigious and retentive memory. Paul’s forte was administration. Even before he took his Final Profession,he was made Rector of Andhra Loyola College. Within a year, he was appointed Superior ofAndhra Region. When his term was over he was again Rector of Andhra Loyola College and then Rector and Principal of Loyola Academy. 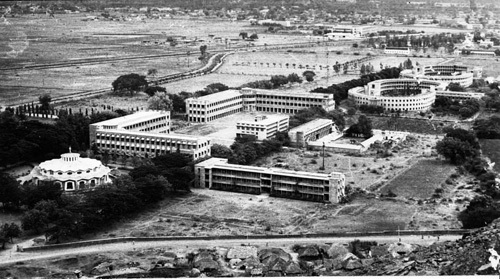 When the Raja Reddy Family wanted to donate their Pulivendula College and Polytechnic to the Society, Paul was sent to be the Correspondent and Principal. During his stewardship, till retirement, he brought about magnificent transformation of these institutions, handling with tact and confidence, all the problems.His heart, the doctors opined, was functioning only at 25% capacity. Added to all these, he contracted TB. He went to Bangalore for rest and he was well looked after and treated at St. Philomina’s hospital of the JMJ sisters. He was discharged on 24 June from the hospital and stayed in JMJ Provincialate, taking rest, hoping to return to Hyderabad when the weather was more pleasant. His mortal remains were returned to Hyderabad on 29 June and were laid to rest in the Loyola Academy Campus. Archbishop Arulappa presided over the funeral Mass. He said in his introduction: “Paul was a bridge between the State and theChurch, between the Hindu and the Christian. Fr. Kuriakose was born on November 24th 1925. He had his education in St. Joseph’s College, Trichy and Loyola College, Chennai from where he took his B.Com (Hon) degree. He joined the Society of Jesus, at the age of 20. That was the beginning of five long decades of selfless service which was begun when he joined Loyola College, Chennai as lecturer. Later, he became Principal for 13 years and left the college when it was at the height of its glory. 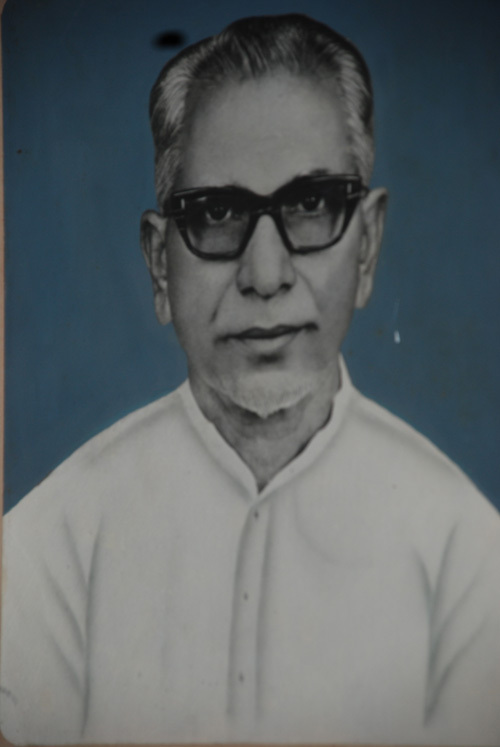 He was then sent to Andhra Pradesh where he had a variety of high positions: Head of the Department of Commerce, Rector, Warden, Controller of Examinations and Principal at Andhra Loyola College, Vijayawada, Superior of Andhra Region of the Society of Jesus and finally, Superior at Loyola Junior College, Karimnagar. No less remarkable are his services as the President of Conference of Religious of India. As an educationist, Fr. 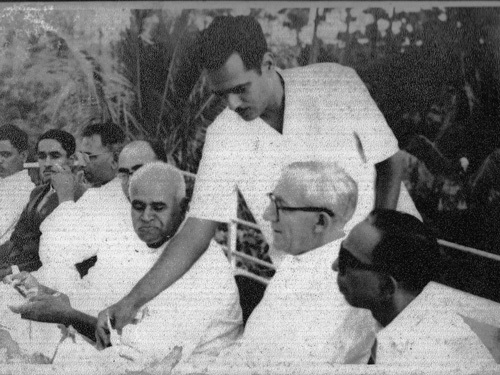 Kuriakose distinguished himself with several reforms. He was one of the persons responsible for the conferment of autonomy on colleges in India and his name has gone down in history as an architect of college autonomy. With vision and dynamism Fr. Kuriakose set about reform in the education system of the autonomous college, Chennai which soon became a pioneer in curriculum development and innovative educational programmes and a model to other autonomous colleges. If the college attained the pre-eminence it did under autonomy in such a short time it was largely because of the untiring efforts of Fr. Kuriakose. 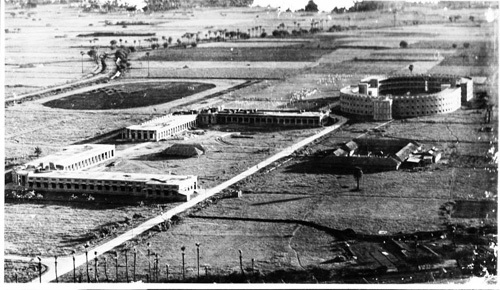 When autonomy was introduced at Andhra Loyola College, Vijayawada, Fr. Kuriakose was sent there as controller of Examinations to ensure successful functioning of the new system. Again, when a Junior college had to be established at Karimnagar, he proceeded there. He worked hard and died here while in the midst of work. Fr. Kuriakose was known as much for his simplicity and austerity as for his dedication to work. Never did he use his car when he was superior of the Andhra Region of the Society of Jesus; he always took either a bus or an auto rickshaw. And a few days before his death, he came all the way from Karimnagar to Secunderabad by bus for medical treatment, rejecting the offer of a jeep made at Loyola School. Fr. Kuriakose believed that to live is to work. Fr. Papiah was born in a rich Zamindar family of Pannur. 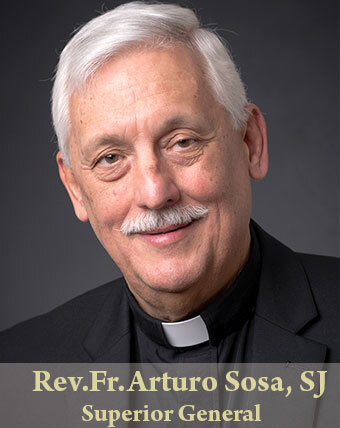 He entered the Society of Jesus in 1936. All the members of the family either embraced the religious or priestly life. His elder brother Lourdu also joined the Society and became an internationally known scientist. 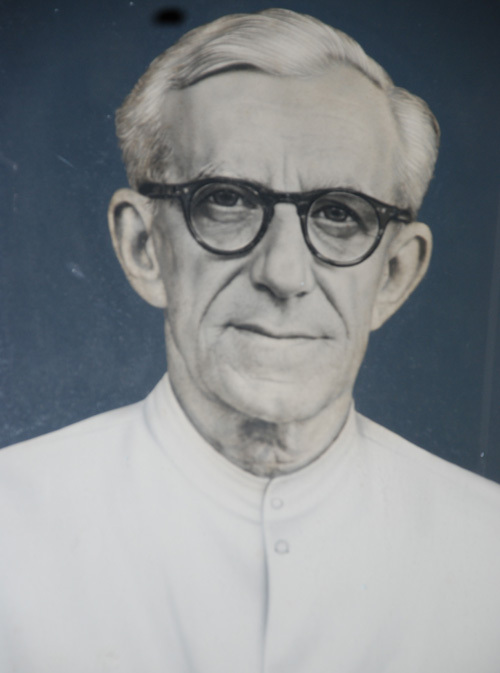 Papiah was ordained in 1950 and he served in several of our institutions in Tamilnadu. He has chosen in 1964 to establish the prestigious Loyola Public School in Guntur, in which project he brought out all his skills of head and heart. 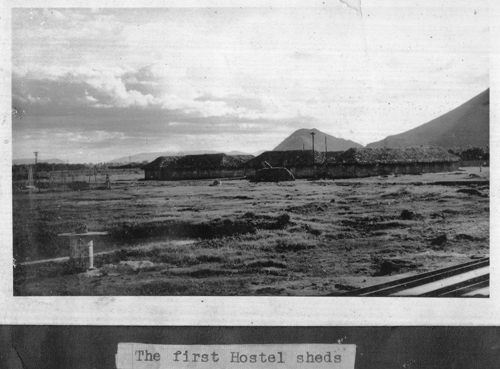 He was a frontier man and wanted to things not normally undertaken by Jesuits. In 1974 he started a Management Institute — Xavier Institute of Management (XIMA) for which he remained the Director till the very end. He always remained a man of vision, influence and had a pioneering spirit.Towards the end he had an attack of spondilitis. Against several people advising him not to undergo surgery, he had an operation done at the famous NIMS hospital in Hyderabad which was a failure. He went to MEDIC1TJ Corporate Hospital for a second operation. Unfortunately, he never carne out of the hospital and passed away on the 10th December 2001. He is buried in the cemetery of Loyola Academy campus. 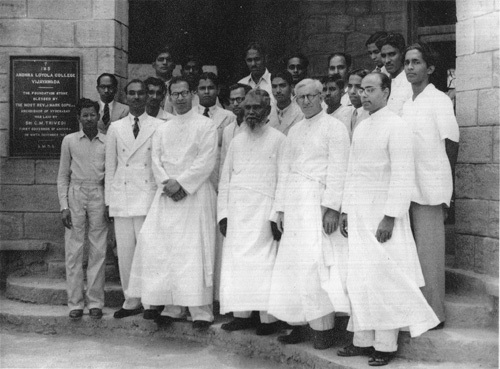 Fr Stanislaus Subbaiah was born on the 15th July 1909 and joined the Novitiate in 1938. He himself was a convert to the Catholic faith and was educated at St Joseph’s High School and College, and passed his Economics (Fions). He even attended the Law College in Chennai for some time. With this rich background he joined the Novitiate at the age of 29. He worked at St Joseph’s College, Tiruchy, as lecturer and also at Loyola College, Chennai. 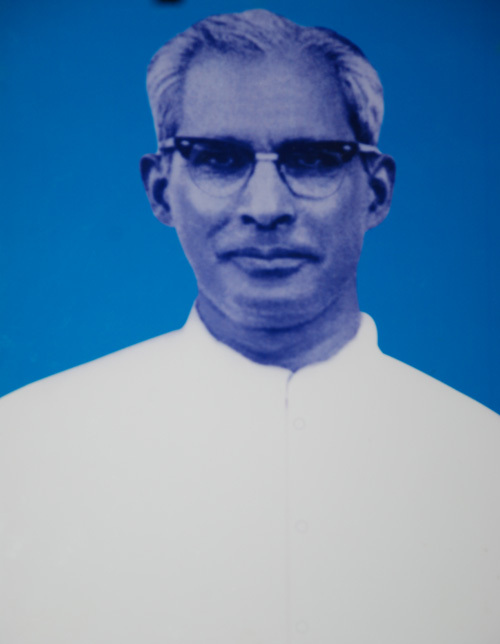 He was one of the pioneering fathers to set foot in Vijayawada to start Andhra Loyola College.Subsequently, Fr. Subbaiah worked in Loyola Public School, Guntur, in its incipient stages. The urge to be a Pastor took him to the Northern region in the Patna Province and he did excellent pastoral work.After the formation of the Andhra Region, Fr.Balaiah invited him to come back to the Region. His quiet stay in Suryapet for over a decade was an inspiration to all the students, parents and especially to the pre-novices. As age advanced he came back to Vijayawada in order to profit by the medical facilities of St Ann’s Hospital. Till almost to the end of his life, his eye sight was good, his hearing was good and his memory did not fail him. He kept himself busy reading even serious books and articles. His conversations were lively and his comments were reflective, showing his youthfulness and clarity. Above all he was a man of deep prayer and trust in Divine Providence. He lived in his life the Ignatian quest to seek God, see God and love God in everything. He rendered his soul to his Creator on November 12, 2002, and is buried in Andhra College campus. Brother Susai Arul had just completed his Silver Jubilee in the Society when he was called to celebrate his eternal jubilee with the Lord. He spent most of his 50 years as a Jesuit in Andhra, dividing this period roughly 17 years in ALC, 10 years in LPS, 8 years in St Palrick’s and one year in the Nambur in the Novitiate. During these 36 years, he never once went back to Tamil Nadu though he could with all legitimacy have gone for holidays, for making his retreat. His detachment from home and people was so radical and his attachment to Andhra was so total, that his mortal remains shall become part of the Andhra soil; this land, its people and its Language and culture, which he made his own.Br Arul attended the Province Congregation held at ALC in January1994, and on the second day, I.e. l6, around 1.45 a.m. he knocked on Fr V.T. George’s door complaining of a breathing difficulty. He had no pain but he sweated profusely. Fr Rector and two brothers were called and together they rushed him to the nearby clinic. While on the way to the clinic Br Arul quietly and silently left this world. The doctor confirmed that he had a silent cardiac arrest. And so, Br Arul’s life went out like a candle that is burnt out; effortlessly and without any struggle, he entered into life eternal.Br Arul never enjoyed robust health but he worked till the end. During his 50 years he handled a variety of jobs that &others rarely do: Mess Manager, Procurator, in-charge of the farm and fields. He made no plans for the furure, he was essentially and man of the present. While he was in Secunderabad, he got interested in prayer groups and began conducting family prayer meetings. He was given the gift of healing not from physical illness but to heal the tensions and rifts in families and among families. He taught them to center their lives on the Bible and on our Lady.Wherever he had been, he was very devoted to the workers under his charge and helped them materially begging from his friends, shop keepers and ethers, above all he helped them spiritually. Arulnagar of Gunadala village in Vijayawada will ever remain in memory of his love for the poor. 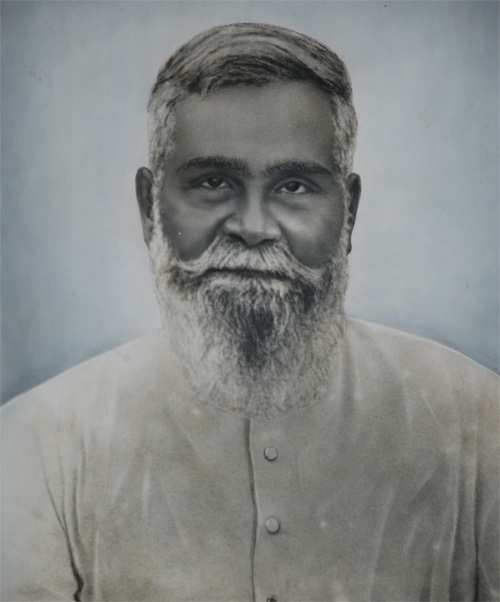 His love and concern for the poor urged him to begin a small Telugu medium school, which in the course of years has become the Loyola Telugu School in LPS campus.Relentless in the performance of his daily tasks, yet accessible to anyone, capable of deep affection he lived his seventy seven yean unruffled and unperturbed. His life of prayer, his devotion to Mary and to the Bible: these were the secrets that he carried home to his Lord and Master. His admirable life can be summarized in his own words: “to live is to love, to love is to give”. Fr. Lourdusamy was born at Saveriarpatnam in Tamilnadu on 31st October 1935. After his primary education in his local village he joined the Apostolic school boarding in Madurai and completed his high school studies in 1954. The Director of the Apostolic School noticing the lively and generous spirit of young Lourdu accepted him as candidate to priesthood in the society. He did a short period of pre-novitiate at Allepey and was admitted in to the novitiate at Dindigul in 1955. While doing his philosophy in Shembaganur, Lourdu combined his studies with neighbourhood apostolate in the rural areas in the Palani hills. 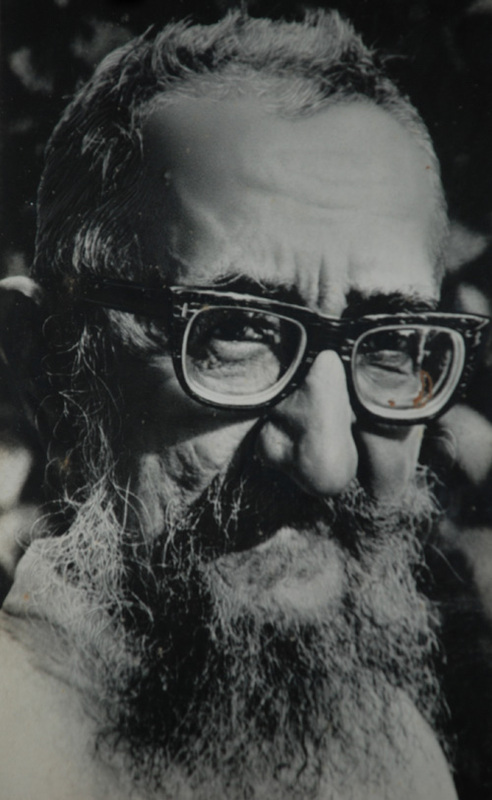 Lourdu was sent to do his theology at Kurseong in 1965. 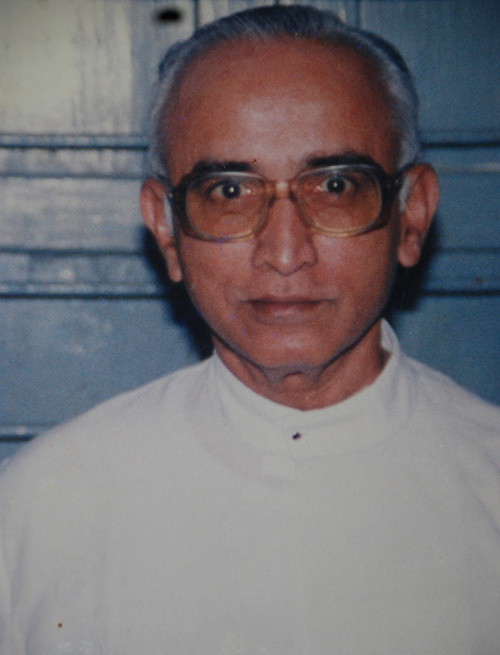 At the end of the third year of theology he was ordained a priest in Palayamkottai in 1968. 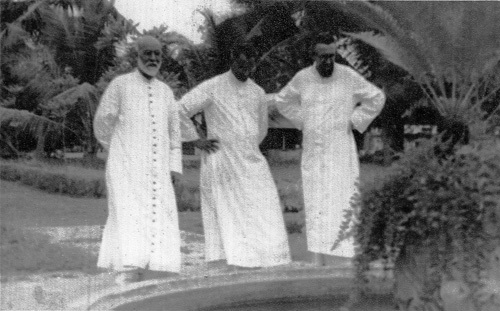 This might have been one of the first ordinations outside the theologate.During this period, Fr. 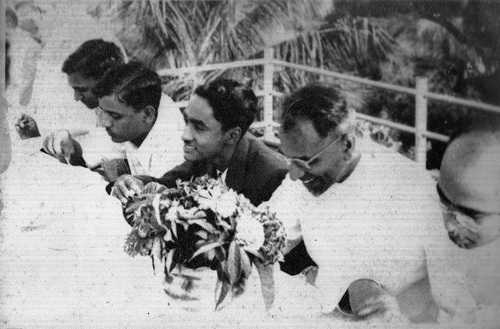 Varaprasadam, the then provincial of Madurai, called young priests to volunteer for work in the Andhra mission. Fr. 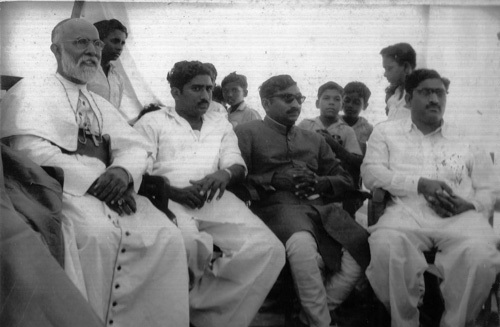 Lourdusamy was one of the first priests to take up the challenge of working in the new mission of Andhra Pradesh. Fr. Lourdusamy struggled hard to learn the new language Telugu. Very few religious priests can qualify themselves for leading a life of regularity and fidelity to religious practices. He was very strict regarding the recitation of Breviary, Rosary, morning meditation and Holy Mass. His life of regularity was combined with orderliness and tidiness. He spent most of his life as a Jesuit priest in the parishes and he carved out a niche for himself in all the established Jesuit parishes in Andhra province.We have accident prone zones on the national highways. Fr. Lourdusamy was very much an accident prone person. At times his coworkers were surprised if he returned home without any accident. 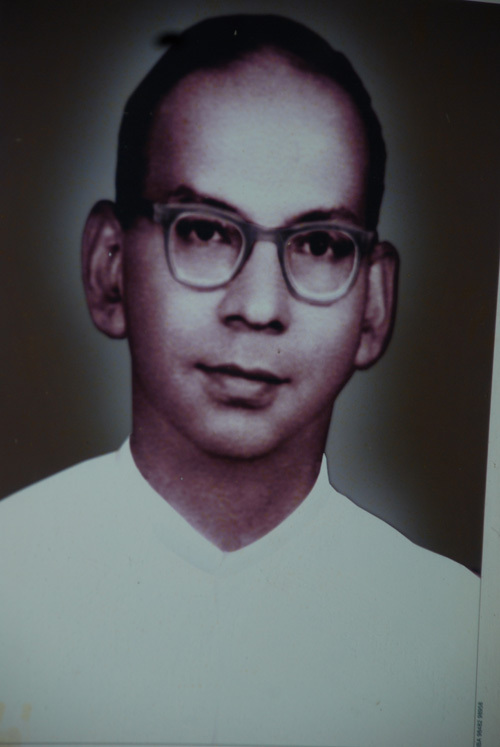 His life ended with a tragic accident while he was traveling in a jeep from Karimnagar to Phirangipuram.Thus a model religious priest and pastor rendered his soul to his creator whom he had served all his life with utmost devotion and commitment on 27.12.1995. His mortal remains lie buried in Andhra Loyola Campus campus cemetery.